In international relations today, influence is as essential as military and economic might. Consequently, leaders promote favorable images of the state in order to attract allies and win support for their policies. Jing Sun, an expert on international relations and a former journalist, refers to such soft power campaigns as "charm offensives." Sun focuses on the competition between China and Japan for the allegiance of South Korea, Taiwan, and other states in the region. He finds that, instead of adopting a one-size-fits-all approach, the Chinese and the Japanese deploy customized charm campaigns for each target state, taking into consideration the target's culture, international position, and political values. He then evaluates the effectiveness of individual campaigns from the perspective of the target state, on the basis of public opinion polls, media coverage, and the response from state leaders. A deep, comparative study, Japan and China as Charm Rivals enriches our understanding of soft power by revealing deliberate image campaign efforts and offering a method for assessing the effectiveness of such charm offensives. "Jing Sun's detailed analysis of the soft power competition between China and Japan provides valuable insights into this important but hitherto neglected aspect of the relations between these two long-standing rivals." "Jing Sun has a lot to offer. As an American born in China but specializing in Japanese politics, he can be even-handed in comparing the effectiveness of China and Japan in projecting soft power. He can be sympathetic to both, informed about both. And he is a serious political scientist." Jing Sun is Assistant Professor of Political Science at the University of Denver. "Highly recommended for advanced undergraduate students of China or Japan and college library collections on Asia." "[Sun] eloquently presents the long-standing antipathies between East Asian nations, and the ways that this historical baggage hinders contemporary attempts to work together for economic and political gain. ... 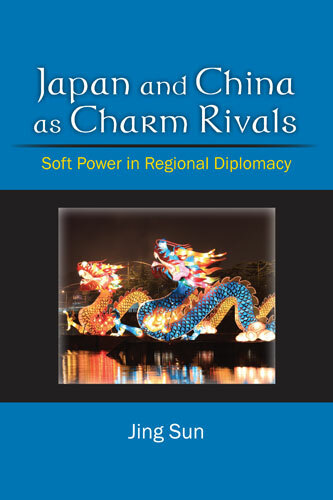 Charm Rivals was a pleasure to read and it is an important addition to a growing body of scholarship on political relations in East Asia."